This product is made to order. It will come directly from my printer to you and will not have the copy right mark on it. 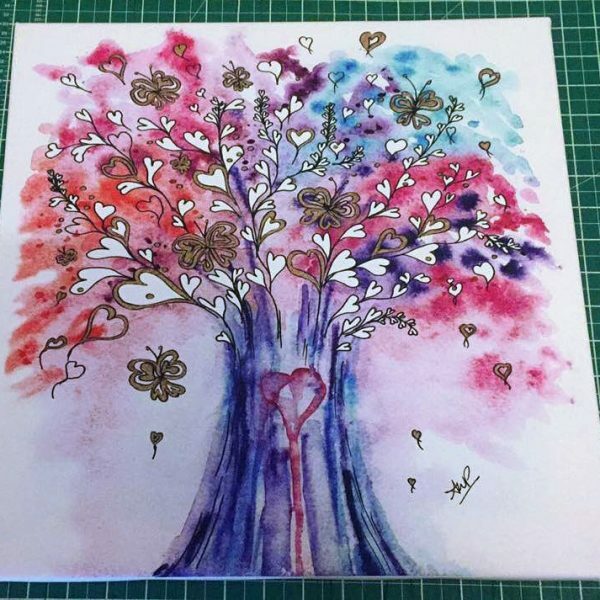 You can choose from 10 x 10″, 12 x 12″, 14 x 14″, or 16 x16″ box canvas sizes. 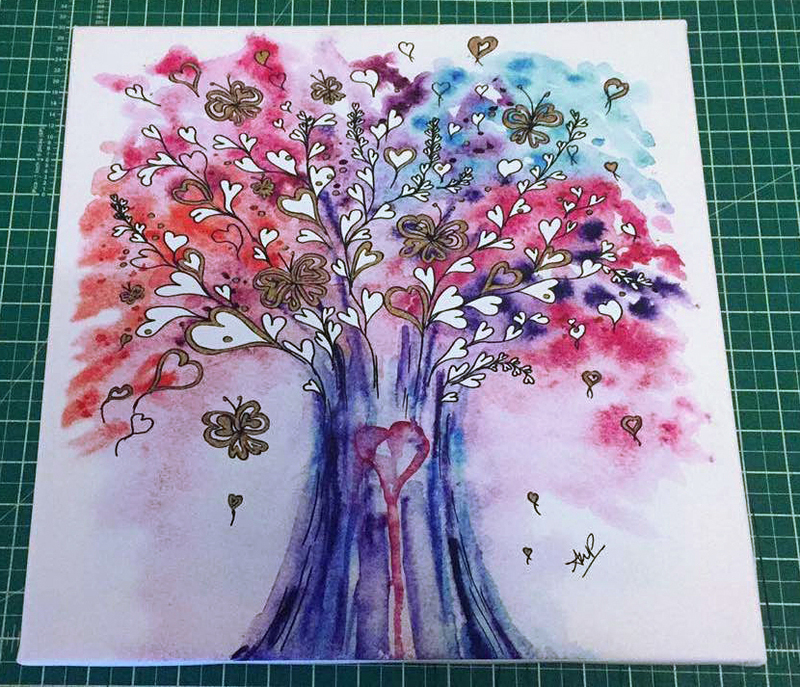 It is 18 mm deep box and is printed on a fine weave canvas for optimal quality and detail of the artwork, which has been professionally scanned from my original watercolour and mixed media artwork Tree of Love.